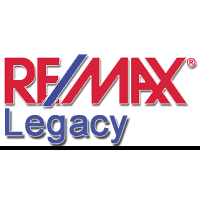 I've been making life easier for buyers and sellers for 23 years now! I do my best to ensure that you will have an enjoyable, stress free experience...and even some fun along the way. I love my job and you will feel the difference at our 1st meeting. I continue my education every year in order to provide you with the best advice I can on your purchase or sale. Most importantly...I've got your back and I'm always in your corner! New Homes on the Market-Contact Candyce for Details or for Showings! Great chance to rent in highly desirable Echo Valley! Large 5 bedroom, 3.5 bath colonial with room for everyone in your crew! Beautiful hardwood floors throughout make decorating very easy. Large eat in kitchen is full of windows and sunlight and has been updated with newer stainless appliances including a wine fridge and granite. Super new(2018) main bedroom spa bath renovation includes huge 6' walk in shower with all new tile, vanities and fixtures. You'll feel like you're in a hotel. Large bedrooms for everyone as well as large or walk in closets in all rooms. Finished attic offers a full bedroom, full bath, walk in closet and a huge walk in cedar closet. Here is your chance to live in the wonderful neighborhood of Echo Valley--close and convenient to everything you need!